That is how to live the missionary mandate of the Church in a Pauline way. On this year of our centenary, we want to make memory of those words that Blessed James Alberione told to our sisters: “Remember how our Congregation was born through the action of God…The essence of the apostolate in general is editorial work. But in our Congregation as it is established, editorial work, the technical aspect and diffusion are three elements that make up the single apostolate. The apostolate makes us loudspeakers of God….Saint Paul thought out his letters and dictated them, reserving to himself to sign them, good Christians multiplied them, copying them, and good Christians spread them. He exercised a true apostolate of the Editions”. Evangelisation derives from the Greek word εὐαγγέλιον (transliterated as “euangelion”). In Latin, it is Evangelium. “The Greek word εὐαγγέλιον originally meant a reward given to the messenger for good news (εὔ = “good”, ἀγγέλλω = “I bring a message”; the word “angel” comes from the same root) and later “good news” itself”. For the sake of clarity we, prefer to define the concept of Communication. Communication derives from the Latin word communis that means “common”, that is, to have something in common. So communication brings people closer together, to share their experiences, uniting and binding them. It is an inherent human experience. “The pilgrim Church is missionary by her very nature, since it is from the mission of the Son and the mission of the Holy Spirit that she draws her origin, in accordance with the decree of God the Father”. Then, the Church is called to reflect the inner communication of the Holy Trinity. To preach the Gospel with Mass Media Communication is to bring Christ in the heart of all, in all structures of Society using the technologies of communication. II. Evangelisation and Formation of Christian Communities in St Paul and Don Alberione. St. Paul was the great writer. His passion for Christ and for the people impelled him to share his experience of faith always with creativity. Paul’s great humanity is revealed in his letters. In them, he speaks about himself, about the profound reason for his choices, about his feelings, about his joys and sufferings, his hopes and worries. Paul established an intense rapport with the Christian communities he founded in Greece and Asia Minor. He felt like a father and mother, husband and friend, brother and teacher to them. His eloquent words allow us to glimpse his great sensitivity and ability to empathize with others. Paul wrote for apostolic reasons: his letters enabled him to communicate with his communities even when he was far away so as to help them resolve internal problems pertaining to their organization and spiritual life. They also allowed him to establish bonds with communities he had not founded so as to “share some spiritual gifts” with them (Rm. 1:11). Paul’s letters spring from his need to share his personal faith, thoughts and love with his spiritual children. In Pauline literature we find the effort of Paul to found and form the Christian Communities as the principal aim of his missionary thrust particularly in some regions. His missionary journeys help us to understand his effort to preach the Crucified and Risen Christ step by step. Again and again, he stresses his duty not only to found the community but to nurture them, accompany them and always if possible to set a local leader, capable to continue to edify the community (Cf. 1 Ts 2: 10-12). The proof of his missionary zeal to care for the newly founded Churches is demonstrated by the existence of his letters. (cf. Rm 1: 5-15; 15, 14-21)… the mission of Paul does not find the fullness of its meaning only in preaching the Gospel neither in individual conversions but only in the presence of the established Churches. That is why he was keen to do a follow-up through the letters so as to bring those communities to a mature stability in Christ. It all started with a night of prayer in front of the Blessed Sacrament, in the Cathedral of Alba, in the night between the two centuries – 1900/1901! Blessed Alberione’s thought was deeply influenced by the teachings of the Popes Leo XIII, St Pius X, Benedict XV and Pius XII. His pastoral methodology was to read the documents of the Church of his time, to assume them as his own and then to draw some guidelines for the mission of the Pauline Family. At the end of the Holy Year of 1900, James, as a young seminarian, sixteen years old, he read the encyclical of Pope Leo XIII ‘Tametsi futura’ inviting people to pray for the new century, for the needs of the Church, the need to get the Gospel to the people, the need to combat evil with the new means. He underwent an experience that would give direction to the rest of his life. A solemn midnight Mass was celebrated in the Cathedral of Alba, followed by a time of adoration of the Blessed Sacrament. After the solemn Mass, there was the exposition of the Blessed Sacrament. The seminarians were free to remain for the adoration for as long as they liked. Upon observing the phenomenon of the rapid growth of the press like many of his time, Fr. Alberione thought of “opposing press to press”: to adopt the press to combat the press that disseminates in the consciences and in society convictions that drive away the people from the Church. Alberione, revisiting the journey of the Congregation, on the occasion of the fortieth anniversary of its foundation, had to say that “that night was crucial for the specific mission and particular spirit in which his future apostolate would come to light and be lived out” (AD 13). His prayer lasted four hours before the Blessed Sacrament and contemplated the future in the light of God. A “particular light” seemed to come from the Host and roused in him a sense of obligation “to do something for the Lord and for the people of the new century”: he felt “obliged to serve the Church” with the new instruments provided by human intelligence. In prayer he had a greater understanding of the invitation of Jesus “Venite ad me omnes,” “Come to me, all of you,” and felt deeply obliged to prepare himself to do something for God and for the people of the new century, confident that he could count on the Lord for light and guidance. He prayed for the new century to be born in Christ, for new apostles in the Church, for the good use of the new means for the apostolate. He felt obliged to serve the Church and the people, and to work with others in an organised way. He felt that in the new century generous people would experience what he was feeling. He thought of a new band of apostles, using the new means. This idea, which at first was quite confused, became clearer and with the passing of time became more specific. It was the beginning of the Pauline Family (AD 15-21). “Not long before there had been a congress (the first he had attended). He had fully grasped Toniolo’s calm but profound and fascinating speech. 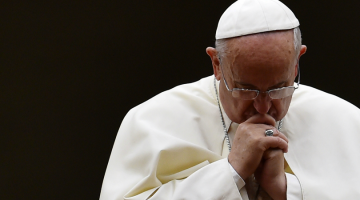 He had read Leo XIII’s invitation to pray for the coming century. Both spoke of the Church’s needs, of the new means of evil, of the duty to combat the press with the press, organization with organization, of the need to get the gospel [message] across to the people, of social issues…” (AD 14). In addition to this, he devoted much time to studying the civil-ecclesial situation and the newly-emerging needs of society. Blessed James Alberione founded, in Alba, Italy, the first congregation of the Pauline Family in 1914 (101 years ago): the Society of Saint Paul (priests and brothers). With the help of Tecla Merlo, in 1915, he founded the Daughters of Saint Paul, and then, in different years, eight other Religious Institutes for men and women and laity, all together making up The Pauline Family! He felt that it is important to provide material bread for all people and ensure that they are able to live in a dignified way, as it is equally urgent to distribute the bread of the Gospel so as to respond to each person’s hunger for the Truth and for God. Fr. Alberione invited the Daughters of St. Paul to center their mission on the Word of God, but he also said: “Don’t speak only about religion. Speak about everything in a Christian way.” And he told them to do this by taking advantage of all the technologies of communication, by blazing new trails for the Gospel, by striving to be present at the “crossroads” and “meeting places” of humanity so that always more people can get to know and welcome Jesus. 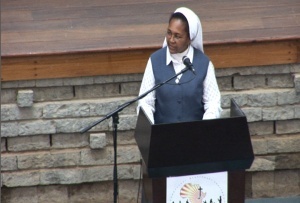 The Daughters of St. Paul live for this mission, which they carry out through numerous activities. He participated in the Vatican Council sessions as an observer and he noticed that “During the Council there have been about seventy talks of bishops about the press, cinema, radio and television to study the way to use for good all the audiovisual and technical means. However, there has painfully been a kind of delusion, if we want to express it thus, for so many deviations (Pensieri, p.168). This has been said (in the Council): “Often those who work with the technical means to spread the Christian doctrine are in an occasion to be ruined, to lose their spirit…”. So I examined my conscience: these persons of ours, have they enough piety as to not allow themselves to be ruined by dangers in the bookstores, in the movie agencies and in various activities? (Pensieri, p. 168). So he urged strongly the Daughters of St. Paul to organize one´s spiritual journey, giving oneself strong motivations for a gradual configuration to Jesus Master Way, Truth and Life, in view of the apostolate mastering the specific Spirituality. The Pauline heritage pinpoints that Fr. Alberione is fascinated by three expressions of Saint Paul: “It is not anymore I that live, but Christ in me” (Gal 2,20); “I have made myself all for all” (1Cor 9,22); “I strain forward” (Phil 3,13). The Congregation wants to be Saint Paul living today. In the period in which Fr. Alberione was working out his project, two statements often mentioned in Unione Cooperatori Buona Stampa were widespread in Catholic circles. The first, attributed to the bishop of Magonza, Mons. Wilhelm Emanuel Ketteler (1811-1877): “If Saint Paul returned today, he would work as a journalist”. The second is of Tertullian (III Century): “A time will come when the ink of Catholic writers will be the seed of Christians like the blood of martyrs today”. Also, to Pius X was attributed the phrase: “One newspaper added, one church subtracted!” while Card. Mercier wrote: “I would delay the construction of a church to contribute to the founding of a newspaper”. This atmosphere of mobilization for the press, led Fr. Alberione to conclude: “Today, what gives the main testimony to Jesus Christ is the Good Press” (PP, p. 411). 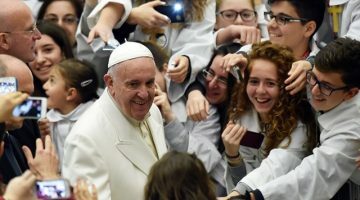 “The world needs “a new and profound evangelization… There is urgent need for new missionaries, and numerous ones, for young people full of determination and enthusiasm so that our press, the Christian press, may come into all families. Missionaries are needed! New missionaries for this new and fertile apostolate!” (Id, pp. 680.682). Alberione privileged the formation of writers as producers of Christian thought to carry on his intuition: “If the People do not go to Church, the Church must go to the people” using the mass media. Fr Alberione gave a most original interpretation to the word editor – to make understand the editions in the Pauline sense. He found more adequate and suitable the expression “to bring forth” which he compared on how the Mother of the Lord “brought forth” the Saviour. From that he derived the meaning “to bring forth” the evangelical message making it penetrate all life and culture. Therefore, for him, the term “edition” defined all Pauline activity: press, films, records, radio, television, art in all its aspects. In this way, our great apostle responded fully to the needs of history and of modern man. And the Editions have three aspects: creative stage, technical stage and diffusion. In 1931, the Daughters of St. Paul started to publish the magazine Famiglia Cristiana. And helping them to promise to be constant in using the pen, he led a group of sisters to offer a small golden pen to the tomb of St. Paul on 25 January 1939, as thanksgiving for the Pauline literature as well as the promise to be true to the Pauline Spirit: to answer to the needs and pastoral challenges of the Christian communities through writing as Paul did! The magazines multiplied: Via, Verità e Vita (1952) and Così (1955) among other publications. On the editorial of the first number of Via, Verità e Vita, the Founder said: “May this magazine be translated and adapted in all the nations where there is the Pauline Family; because to all we are debtors of the truth due to our vocation and according to the example of St Paul and the heart of the Jesus Christ the Divine Master”. As to offer to everyone “the charity of the truth”, the house of the writers was opened in Grottaferrata (Albano-Italy) in 1954 where some Daughters of St. Paul, after a month of spiritual exercises discerned on their vocation as producers of Christian cultural thought. The Daughters of St. Paul combined their efforts and invested all their talents and wisdom in Cathechesis. The apostolate of the Radio in the Pauline Family started as internal communication between the houses. It slowly developed to be used among the masses. In 1947, Fr Alberione wrote: “The apostolate of cinema is an integral part of the apostolate of the Daughters of St. Paul as is also the apostolate of the Radio, because your apostolate is the apostolate of the editions that are given with the fastest and most efficacious means”. On December 25, 1948, Father Alberione read his first radio message at the microphone of Radio St. Paul in Italy. In 1951 he was spiritually present at the dedication of the so-called “Saint Paul Radio Center” in Japan. By this time, we have the collaborations of our sisters alongside with the Society of St. Paul in 6 radio stations throughout Brazil. Around 1960 the audiovisual sector of mini-media with the production of disks and later on, slides, was also started. Sanpaolo film under the name Romana Editrice Film (REF) started in 1937 with the aim to produce films which on their own merit could be shown in the ordinary cinemas. This achievement was possible in spite of many difficulties, through the film Abuna Messias, about Cardinal Guglielmo Massanja, a Capuchin missionary of Ethiopia. Abuna Messias was awarded at the 1939 Venice film festival as the best film. During the Second World War the productions were suspended. After the war they reassumed with particular attention to documentaries with catechetical purpose very useful to many parishes. The founder was convinced that there was a great work to be done through the cinema and he actively involved Daughters of St. Paul who were studying to put a particular attention to the cinema. In fact many collaborated with the Society of St. Paul in the selection of the existing films and reducing them to 16 mm for use in the parish halls. 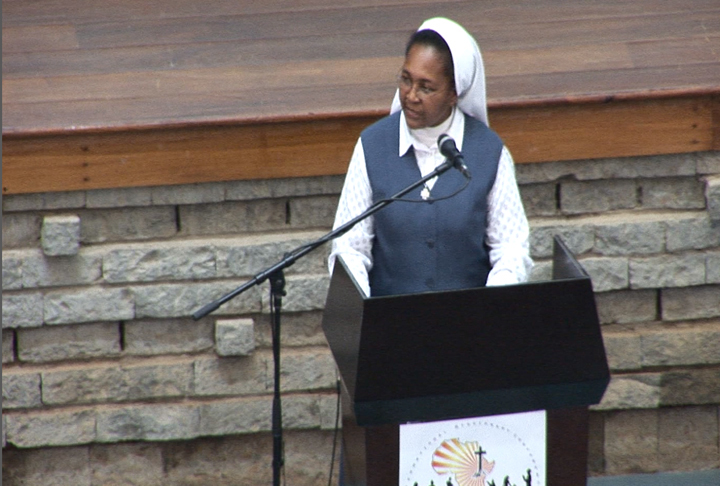 The Daughters of St. Paul together with the Society of St. Paul carried on the modern apostolate translating into images the Bible and the Catechism through various agencies and cultural centres in the Parishes and schools. A modality to reorganize the collective Itinerant Diffusion that Mother Thecla encouraged was the Bible Days, Bible Weeks and Cathechetical Animation. Bible Days were done since the beginning, that is, in 1920’s when the Biblical movement started in Italy with the aim that “the Gospel may enter in every family”. They had various adaptations and developments. In 1960, Fr. Alberione launched the BIBLICAL YEAR in preparation for the Second Vatican Council, with the motto: “The Bible in Every Family.” For that occasion, Pauline Publications, in Italy, printed a special inexpensive edition of the Bible with catechetical and liturgical notes. All the possible channel of distribution were used to make sure that it would reach all families in the parishes, Dioceses, everywhere but above all there were organized many Bible Weeks and Catechetical Weeks. It was a unique remarkable event, which touched many lives, and brought many people closer to the Lord and the Daughters of St. Paul embarked on it with enthusiasm under the watchful guide of Maestra Thecla. How can African churches be fully participants in the evangelization of the Continent and of the world? What kind of contribution can African theologians make in order to promote the inculturation of the Christian faith and of human promotion in the Continent? These questions help us to underline the irreplaceable role of African intellectuals and gifted theologians in the development of new cultural identity and language for mission Ad gentes, also taking advantages of Publishing to form an African Christian Culture. The Mass Media evangelization throws us in the middle of today’s humanity breaking all barriers by the very nature of these instruments: if the book is good it can form the human conscience, enhance Christian values and inspire people to pursue sanctity. So Missio Ad Gentes through evangelization with Mass Media makes the whole World become a parish. Hence our prophetic and apostolic responsibility to use adequately these instruments that progress and the Church has put in our hands. Since the use of the press corresponds to a “new evangelization”, it is necessary to invent an appropriate predication that goes side by side with that of the parish: written preaching side by side with oral preaching (Cf. PP, p. 172). It is a new form of integral evangelization that is complementary to parish pastoral. In fact: “It is useless to think otherwise: from the church, the priest can form somewhat the thinking of his people; but today the church is not enough because outside of her the press preaches every day, with insistence and with effect” (Id, p. 733). It is the nature of the press apostolate that requires the Pauline priest: “The press apostolate is in its substance, origin, object, aim, the same thing as the apostolate of the word. It is distinguished only by the manner through which it is exercised… Now it is clear that since the priest is the ordinary and main minister of the apostolate-word, he is necessarily also of the Apostolate-Press” (Apostolato Stampa, pp. 24-25). Pastoral commitment in the press apostolate requires the Pauline priesthood and (sisterhood) and at the same time the Pauline priesthood guarantees that the press apostolate is not a simple “assistant” of parish preaching, but a true evangelization realized in a different form. This is the originality of the Pauline charism in the Church. Around 1450 Gutenberg invented the printing press with movable letters. He inaugurated the era of the modern means of communication. Five years after its foundation in Rome the Congregation for the Propagation of the Faith in Rome started its own printing press and in AG 29 and 36 this Congregation is called to provide information about the missionary activity and foster missionary awareness through information. Pope John Paul II writes in his encyclical Redemptoris mission (07.12.1990) said: “My predecessor Paul VI said that ‘the break between the Gospel and culture is without doubt the drama of our time’ and the field of modern communications confirms fully this judgment” (n.37c). From the conciliar decree Inter mirifica to the apostolic letter Il rapido sviluppo (24.01.2005) the many issuances of the Church about communication for evangelization is an irrefutable stimulus for the actuality and development of the Pauline charism and all communicators for “giving God to men and men to God”. Evangelli Nuntiandi affirms that the Church would feel guilty if it would not use these powerful instruments (EN 45). The Magisterium of the Church about communication is consistent and rich about Evangelisation and Mass media and continually urges us to be on the move. We are in the digital era. The Pastoral Concern of the Church about the digital communication was expressed time and again in the messages of the Popes Benedict XVI and Francis. Pope Benedict’s message: “Social Networks: portals of truth and faith; new spaces for evangelization” of World Communication Day Message, 12 May 2013, speaks about the opportunities provided by the web, which permits the Church (specially the Daughters of St. Paul) to pray, discern within their charism and “inhabit” this web by this new form of giving the Gospel and promoting Christian values to all, assuming the digital world as an open highway in Evangelisation. In the light of Africae Munus, which Pastoral Plan can we foresee to carry on the healing of memories that our pastors invite us to do for our own good and prosperity of all? The Mass media of communication requires from us today to live the actuality and contemporary trends creating synergies among the different sectors (Biblical Apostolate, Education, Justice and Peace, Evangelisation, Doctrine, Ecumenism, etc. within the structure of Church as to carry on the organic Pastoral Plan and render the Pastoral objectives operational. The Department of communication has to be the catalyst of the other departments within the Conference or Diocese. Ultimately, however, if our efforts to share the Gospel bring forth good fruit, it is always because of the power of the word of God itself to touch hearts, prior to any of our own efforts. Trust in the power of God’s work must always be greater than any confidence we place in human means. Publishing houses as Paulines Publications Africa, Magazines (The Seed, New People, National Mirror, etc) diocesan or communitarian radio stations, TV stations, video production (BEAMS, Ukweli Video), website, facebooks owned by the Church (Catholic Media group in Kenya) are witnesses of how the Church in Africa is keen to carry on her evangelisation mission using the media, new and old. Thanks to IMBISA-AMECEA group that years back were produced Manuals of communication for the formation of priests and religious in Africa to foster awareness in Media Communication. However, we wonder if the people to use these manuals are aware of their existence. In some dioceses and countries there are joint activities with journalists in secular media to address issues like human trafficking and other social issues. We made a glimpse on St. Paul and Blessed Alberione who contributed to assume the means of communication of their time in evangelization. We have looked at Alberione´s methodology to read the documents of the Church of his time, how he assumed them as his own and then drew some guidelines for the Pauline Family. We revisited some of his thoughts to see how can they inspire us to give a significant contribution to evangelize with our mission in this continent of opportunities and with future for the Church, that is, to reform the law, education, literature, the press, morals; for the Church to give fresh impetus to mission, for society to welcome the great teachings of Africa Munus, especially with regard to social questions and Church freedom. Thus to speak of everything in a Christian way giving Jesus Master Way Truth and Life to all (cf. AD 19) as servants of justice, peace and reconciliation. “Always call yourselves Paulines: Jesus drew Paul to himself, and Paul, grafted onto Christ, produced the fruits of Christ. But to become genuine apostles of Christ, you must keep your gaze fixed on his face (Heb. 12:2). Cardinal Maurice Otunga, writing to the Daughters of Paul in Kenya on 24 June 1987, said “O dear missionaries, give us the whole and integral Catholic Faith, teach us to think it out wholly, and live it faithfully, and our Christian culture will follow.” Later the 1994 African Synod confirmed the urgency of formation in the faith as to prevent people from ignorance to be manipulated by sects (EA 76). As we celebrate 100 years of the beginning of our Congregation we are impelled and urged to welcome the encouraging words of our dear Cardinal and to break through all the cultures and peoples “to offer the charity of the truth to all” through THE MEDIA OF COMMUNICATION New and old to continue to open “the treasures of the scriptures”, of Catechesis, human formation, civic education to our people of Africa with the spirit, courage and enthusiasm of St Paul as to form a Christian African Culture. May Mary Mother, Teacher and Queen of Apostles be that constant presence that helps us to mature and welcome the ways in which the new Pentecost is to happen through our Pauline Mission today in the Church. I thank the organizers of this event who thought of us to share our journey of faith in this centenary of our foundation. Africa has been defined as “Continent of Opportunities”. Church statistics has helped us to see how Christianity is growing. Identify the situations in which justice, peace and reconciliation have been part of the pastoral program of the Church. (Concrete situations) – What more could have been done? In the light of Africae Munus, in which ways can we contribute to purify the memory of our wounded world of Africa with our charism?